The Clinical Manager for Ambulatory Clinical Pharmacy Services has overall accountability for the leadership, strategic direction, and operations for the Ambulatory Clinical Pharmacist team. This position leads and nurtures a team of Clinical Pharmacist Practitioners (CPP) practicing in a variety of primary care and specialty practice ambulatory clinics. The Clinical Manager develops, implements, and maintains processes that support day-to-day operations in alignment with pharmacy department policies and procedures, and serves as a point of contact for pharmacists to report workplace feedback. The Clinical Manager oversees strategic planning and innovation to meet institutional, departmental, patient care, and regulatory needs. The Clinical Manager participates in the educational and research endeavors of the Department of Pharmacy and providing comprehensive patient care on an as needed basis. The Clinical Manager acts independently to address, mediate, and resolve issues within or pertaining to the Ambulatory Clinical Pharmacy Services team. The Clinical Manager will establish and participate in clinical practice within an ambulatory clinic (to be developed in coordination with current CPP, clinic and manager). 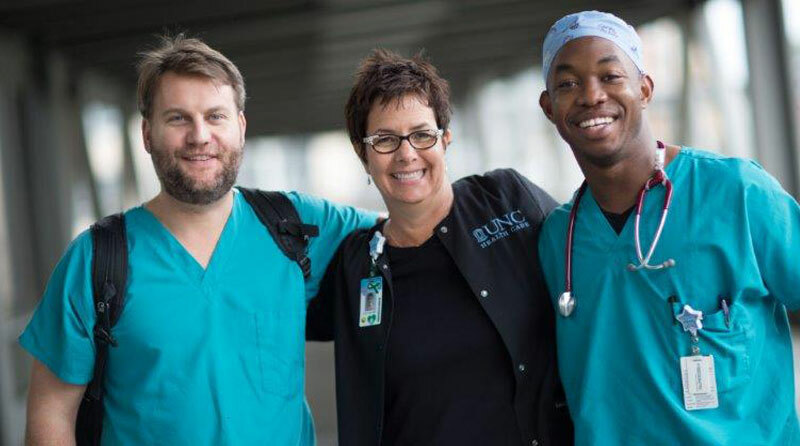 The Clinical Manager will exercise leadership responsibility in order to meet the needs of patients, physicians, and staff in a manner consistent with UNC Health Care System’s values, mission, and core standards of behavior. The Department is seeking a dynamic leader that will help further develop, implement, and maintain a high quality, innovative pharmacy model in alignment with UNC Hospitals’ initiatives and in support of the UNC Shared Services Center Specialty Pharmacy. •	Ability to demonstrate and apply knowledge of ambulatory and retail pharmacy operations and standards including professional, legal, business, and public relations. If a Bachelor's degree in Pharmacy: Five (5) years of experience. If a PharmD degree plus Master's degree in Pharmacy Administration, Health Care Administration, Business ore related field: Two (2) years of experience. If a Pharm.D Degree: Three (3) years of experience. Experience Substitution: Each year of accredited residency may substitute for two (2) years of experience. Board Certified Pharmacotherapy Specialist may substitute for one (1) year of experience. Licensed as a Registered Pharmacist and eligible to practice pharmacy in the state of North Carolina. Eligible to apply for Clinical Pharmacist Practitioner (CPP) designation in the State of North Carolina.